The USB devices are of great help today. The external hard drives and the USB flash drives are easy to use and help in easy carrying and transference of data. One also connects their PC to a hard drive or connect their smartphone to the desktop or laptop through a USB cable to access the data on the external drives. But sometimes during this process, you may receive the error like your USB device is not recognized. People fail to understand why errors like USB device malfunctioned occurs up till then they have been using the same hard drives. This problem may be due to many reasons, but there is nothing to be afraid of as there are a number of solutions for this USB Device Not Recognized error. 0.1 What Causes USB Device Not Recognized Error? What Causes USB Device Not Recognized Error? An update might be required for your computer regarding the issue related to USB flash drive or external hard drive. Some hardware or software issues might be missing from your Windows. The USB controller might be unstable or have become corrupt. The USB external drive might be entering the selective suspend. The currently connected USB drive has been damaged or is unstable. An updated driver might be required by the motherboard. Thus conditions like partition issues of external drive, dead USB drive or its port, and driver problems in Windows result into USB device not recognized in Windows error. But the error can be resolved, and there are plenty of methods which you can try. Let’s have a look at some of the methods to fix PC not recognizing your USB drive. Step 1: Click on the “Shut Down” option after clicking on the Power button or the Windows icon. Step 2: Now UNPLUG your PC from the power supply. Step 3: wait for a few minutes and plug in once again. Step 4: Restart your computer and connect the USB drive. This will actually reload the drivers of the small processors that are present on the motherboard. This will lead to the USB ports again recognizing the external device. Step 1: Click on Start and open Device Manager by typing devmgmt.msc in the run window or you can also open it through Control Panel. 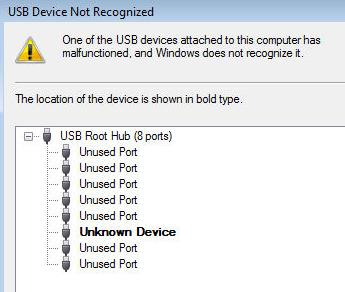 Step 2: In the Device Manger you would notice Unknown Device under USB Root Hub. Step 3: Right click on the Unknown Device and click on Properties. 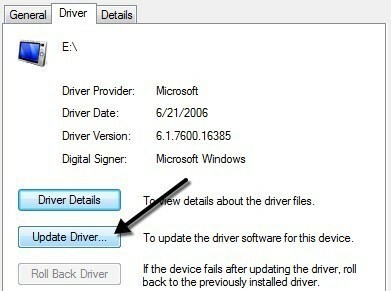 Step 4: Now in the Driver tab, select Update Driver. If the main root of the error in your system is the drivers, then this might work, but if it doesn’t then, you can also download the divers from the official website. Also, remember that if the device is just used as a flash device rather than a drawing pad or printer, then the issue is probably not related to the drivers. So you can try the next method. You can also try to resolve the USB device descriptor failed error by altering the properties of USB Root Hub. 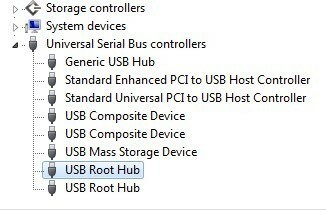 Step 2: Right click on USB Root Hub and then select Properties. Step 4: Press OK and restart your computer. You need to repeat the process if you have more than one USB Root Hub on the list. 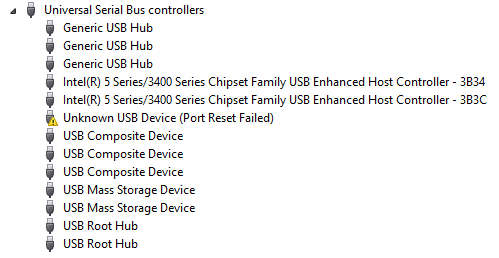 Also if it doesn’t resolve theUSB device descriptor failed error then, you should leave the check boxes unchecked only. 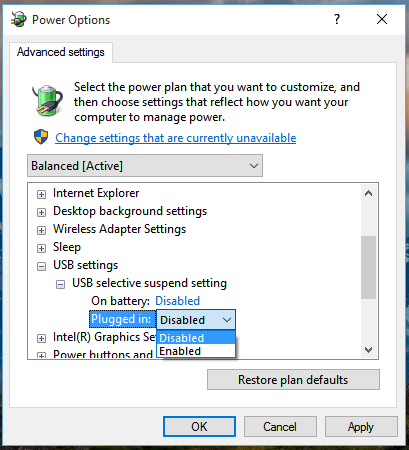 If you are using Windows 10 and get an error like USB device not recognized by Windows 10 then you should give this method a try. This method will help you to install all latest drivers for the external hard drive and get rid of usb device descriptor failed error. Step 4: Then click on Install updates after checking the check box beside the updates. Step 5: Finally click on I Accept, to the license agreement. Step 6: Now follow the instructions as prompted and download and install all the updates. Step 7: Reboot your PC, if necessary. 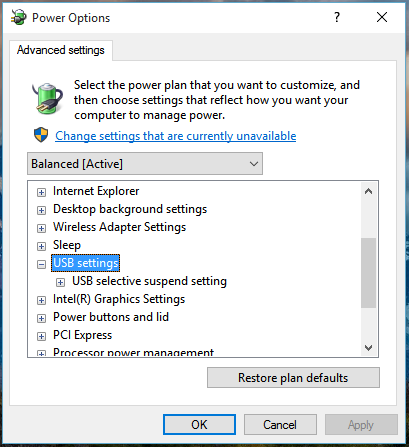 If you are facing errors other than USB device not recognized in Windows like power issues then this method can help you from avoiding the USB hard drive from powering down. Step 1: On the battery icon, right click and select Power options. 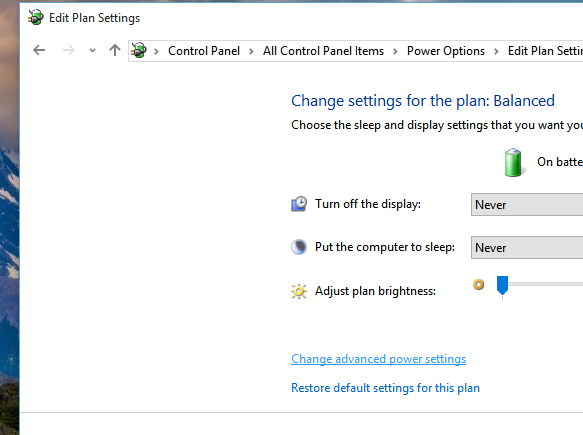 Step 2: Now select the Change Plan settings option. Step 3: And then select the Change advanced power settings. Step 4: Find USB settings and expand it. Step 5: Within the expanded USB settings, click on USB selective suspend settings and then disable both “Plugged in” and “On battery” settings with a right click. Step 6: Click on Apply and Press OK.
One of the last method to which you can resort is to uninstall all the USB devices. Sometimes the USB controllers are not recognized by the Windows and thus every item within the USB Serial Bus Controllers is deactivated. Step 1: Type “devmgmt.msc” in the run window. Device Manager Window will open. Step 2: Now enlarge the Universal Serial Bus Controller and attach your device. Step 3: Within the Bus Controller, you will observe Unknown USB Device with a triangle sign and an exclamation mark. Step 4: Right click on it and select Uninstall. This will remove it. Step 5: Now you can restart the computer. The drivers for the USB device will be reinstalled. This process of Uninstallation of the USB driver is one of the most common solution to the uncommon “43 error” code. And so if you notices error like USB device not recognized code 43, then you know what method to use. 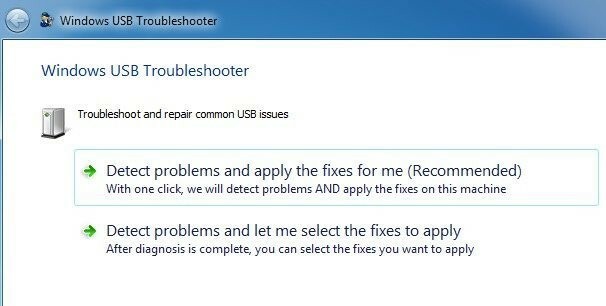 If none of the above mentioned solutions resolved your problem then you can probably download the Fixit tool called the Windows USB Troubleshooter. This tool though cannot fix the USB device not recognized by Windows 10 error. The reason being, it only works with Vista, Windows 7 and Windows XP. Every now or then we face hardships with our computer. Sometimes the battery issues come up while the other time out system drivers needs an update. But today we can troubleshoot any kind of issue, even the USB device not recognized in Windows error. To resolve the error we have summarized all possible solutions. And we hope that out of all the methods described above, one of them would help you solve your USB external device problem.